Parents who take time to read aloud to their children are doing them a huge favor. Not only is it a memorable bonding activity, but it’s also a way to jump-start a child’s education and put them on the fast track to literacy. Many parents and caretakers know this intuitively, but a new study published in the Journal of Developmental and Behavioral Pediatrics reveals just how instrumental those bedtime stories really are. According to Jessica Logan, the study’s lead author, kids who are read one short book per day enter kindergarten hearing 290,000 more words than kids whose parents didn’t read to them. If you increase the number of books to five per day, that vocabulary disparity swells to 1.4 million words. Logan calls it the “million word gap,” and she believes it could help explain why vocabulary and reading ability vary so greatly from one 5-year-old to the next. "The word gap of more than 1 million words between children raised in a literacy-rich environment and those who were never read to is striking," Logan said in a statement from The Ohio State University, where she is an assistant professor of educational studies. "Kids who hear more vocabulary words are going to be better prepared to see those words in print when they enter school. They are likely to pick up reading skills more quickly and easily." For this study, Logan and her colleagues randomly selected 60 titles from a larger list of popular children’s books. They counted the words in each book and discovered that the average board book (aimed at infants) contains 140 words and the average picture book (aimed at toddlers and older kids) contains 228 words. Using this data, and assuming that board books are traded in for picture books after a child's third birthday, they were able to calculate the average number of words kids hear from books by the time they turn 5. Logan said her latest research was inspired by an earlier study she conducted, which found that 25 percent of children are never read to, while another 25 percent only hear stories about once or twice per week. Children’s books in particular are a great method of teaching vocabulary, researchers found, because they introduce words that are unlikely to come up in everyday conversation. 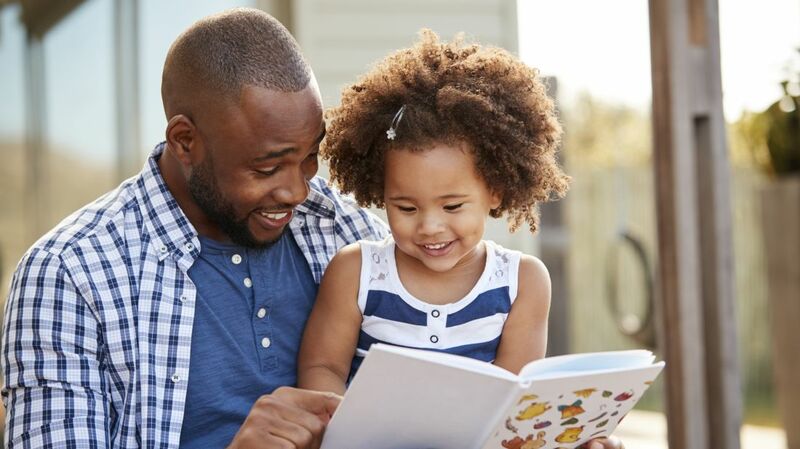 This is the latest study to confirm the benefits of reading—not to mention the benefits of forming healthy reading habits at an early age. A study from last year revealed that people who grow up in homes full of books (especially 80-plus books) tend to have higher reading comprehension rates and better mathematical and digital communication skills.